4. Black Loops - Is This A Banger? 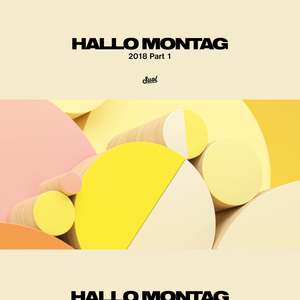 Predictably, Suol has gathered together tracks from an impressive list of deep house producers for this expansive first volume in the Hallo Montag 2018 series. German veteran Ian Pooley sets the tone with the jacking, acid-tinged deep house bounce of "Time", before M Ono shows off his synthesizer soloing skills via the glassy-eyed Balearic house brilliance of "Waffelhaus". Iron Curtis's contribution, "The Further You Look", sounds simultaneously low-slung and gently dreamy (it's a fine combination), while Black Loops doff a cap to the greats of disco-house via the funk-fuelled, sample-heavy stomp of "Is This A Banger?" If you're in the mood for something a bit more bumping, the boompty-inspired stomp that is Carlo's "Lluvia" should be right up your alley.